Find out the off-camera fun of your favorite celebrity. If you are exhausted with the work pressure of the whole week, our Bollywood stars will make you forget all the tension and worries, just have a look at their social media posts. These actors are having all sort of fun behind the camera and they never miss a chance to entertain us. Social media allows us to know our stars better than the movies do. These posts include the fun while the movie shoots or while teasing each other. Here are some posts from this month that will really make you happy and relieved from stress. Parineeti Chopra and Arjun Kapoor while shooting for their upcoming movie Namaste England in London are having best fun moments. Recently Parineeti shared a video on Twitter where Arjun Kapoor is leaving no chance to make fun of her. The actress posted several videos showing Arjun Kapoor as an annoying Co-star. Actor Arjun Kapoor was seen in London last week celebrating the success of his sister’s Film ‘Veerey Di Wedding’. Pictures posted by Arjun show how Kareena, Sonam, Rhea and Samyukta Nair are having gala time away from paparazzi. Next in the line is the video of a fun part while first-day shoot of the movie, Simmba. The video shows Ranveer Singh, Rohit Shetty, Karan Johar and Sara Ali Khan. Here’s the most beautiful voice that you will hear today. Supremely talented Ayushmann Khurrana, sings a beautiful song on the keyboard. 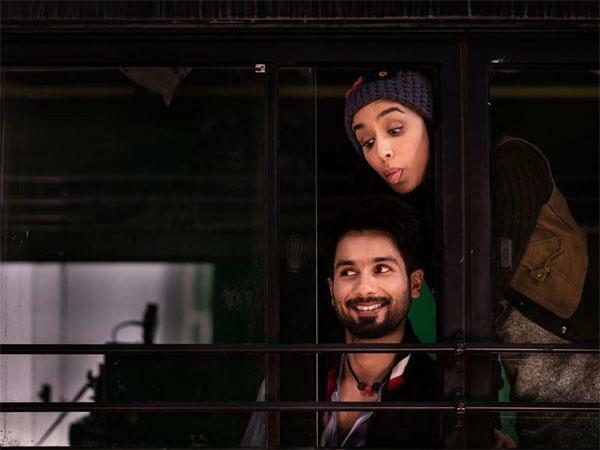 Lastly, the pictures of Shahid Kapoor and Shraddha Kapoor from behind the scenes of Batti Gul Meter Chalu are adorable!